Zapier is a service made to automate your workflow as much as possible. With Zapier you can move past copying data between multiple systems or apps and watch all the daunting work being done for you. 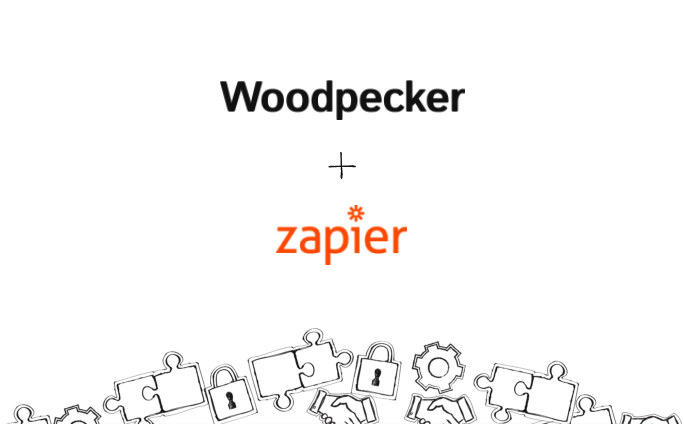 Zapier gives you the power to integrate Woodpecker with 750+ other apps, including CRMs (Salesforce, Pipedrive), communicators (Slack), Google Sheets, Contacts and more. Connections between the two systems are called Zaps. Integrations are available with API Key. To generate a new API Key you need to be a Team PRO, Agency or Enterprise user. If you want to upgrade, contact support@woodpecker.co. Or, as we say in other words: what’s in it for you? Absolute automation - you no longer have to move between systems and apps to copy and paste all the data, you just set a Zap once and watch the data move from one place to another automatically. Your precious time - having all your data migrating between the tools you use without your constant involvement gives you more time for actual work with them. Comfort & focus - how many times you wanted to start your work straight ahead, suddenly remembered you need to copy the data between systems first and distracted yourself? You can forget about all the manual work now and stay focused on your tasks. Efficient Pre-Sales <-> Sales cooperation - having Zapier automate your workflow also means that your Pre-Sales and Sales team can work with different apps and have their prospects data being passed between each other in real time. No programming involvement - with Zapier you can easily build complex workflows without any programming involvement. You can, basically, automate all your workflow by yourself. Real-time automation - no, you don’t have to wait until the next day for Zapier to import all data at once (sounds familiar?). The automation takes place in real time so it only takes minutes for the data to be imported to all your other tools. Precision - don’t ever worry about missing a lead while the process of copying and pasting. Zapier automation will not let it happen.